The vivacious Acqua di Parma Cedro di Taormina scent captures the magnificent landscape of Taormina with a composition dedicated to its majestic beauty. Joyful and bright, the Cedro di Taormina fragrance collection blends luminous citrus notes with captivating aromatic facets to evoke the fascinating Taormina region. 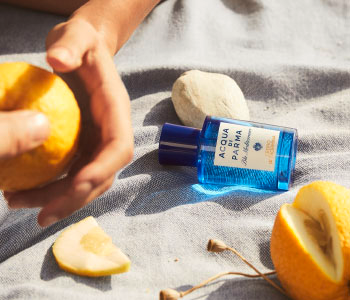 Acqua di Parma Cedro di Taormina is the enchanting scent that will transport your senses to the Italian coastline in a single spritz, allowing you to experience the charm of the Mediterranean wherever you are.